Paolo Mari was born in 1963 and started performing in 1974. He lives in Grosseto. Concert performer, teacher and composer, the most important of his many artistic experiences is his mastering of all Brazilian guitar styles. 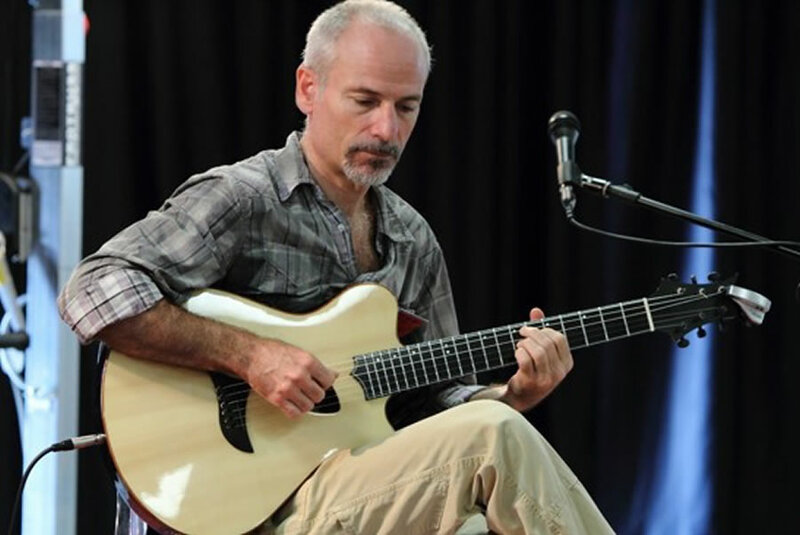 His guitar methods “Violao – La chitarra brasiliana” (2008) and “Brazilian guitar solos” (2010, book + CD) are published by Carisch, while “Modelli armonici per chitarra” (2000) was published by Ceccherini and Effigi. Paolo released on Fingerpicking,net the albums “Corpo e Alma” (2012) and “Mani, Testa e Cuore” (2015), this one with percussionist David Domilici. He writes columns and articles about Brazilian music on the magazines “Chitarra Acustica” and “Axe”, with a focus on harmony. He also appeared on many TV and radio shows on RAI and Mediaset. Besides this, Paolo teaches seminars, classes, and workshops on bossa nova, and constantly works with Brazilian musicians and composers, in Italy and Brazil.